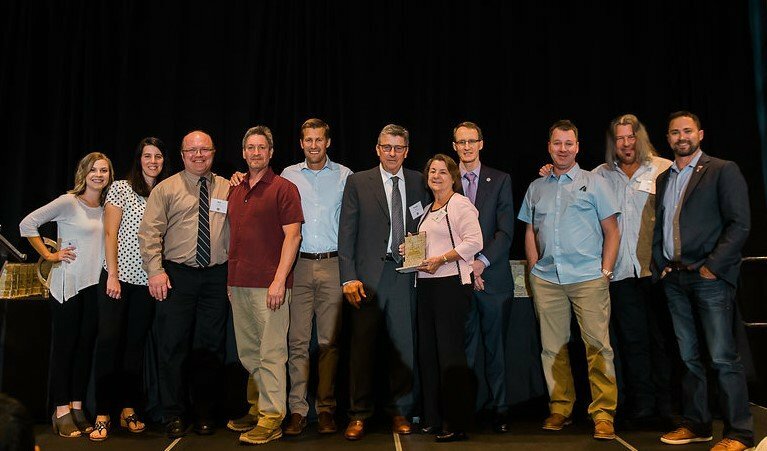 WA Patriot received its 4th award from the AGC of Washington for Safety Excellence at their annual Build Washington awards banquet on May 30, 2018. WA Patriot is extremely proud of all of our employees for being leaders in safety, and for helping us achieve our safety goals year after year. This award is a tribute to our team’s continued commitment to making safety a top priority. Read more about this year’s safety award in the Seattle Daily Journal of Commerce here.